Hometown Marketing will provide quality marketing programs at a fair price and with exceptional customer service. We strive to live by the Golden Rule in every aspect of the way we do business. Hometown Marketing is a Chattanooga, Tennessee based company specializing in highly targeted markets such as high income, new movers, businesses and programs reaching specific local neighborhoods and communities. Is there such a thing as direct mail that people look forward to receiving? YOU BET! 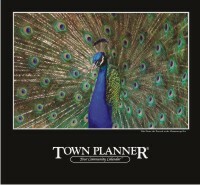 The Town Planner is mailed each year to thousands of area households and businesses. A magazine reaching every household and business in East Ridge. 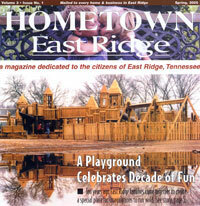 Included is City of East Ridge News, community information, light-hearted reading, menus and money saving offers. Hometown Marketing can provide mailing lists for any zip code in the United States. 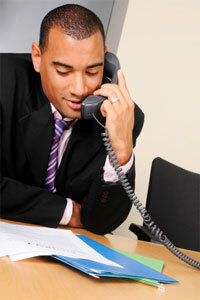 We will help you determine the best way to reach your target market and provide free counts and quotes. * Don't like advertising but do like the idea of replacing their customers who move away. * Like the privacy of this type of marketing. * Understand what one new loyal, long-term customer can mean to the bottom line. Copyright 2013, Chattanooga, TN - Hometown Marketing, Inc.